Last Minute, 3 Ingredient Salad | I Am Not A Restaurant! This was a big hit at book club this week. I wish (wished?) it was more challenging. I think it will become a summer entertaining staple. Try it. That's it. Alternatives include, mint replacing the dill or adding some spicy pickled pepper. 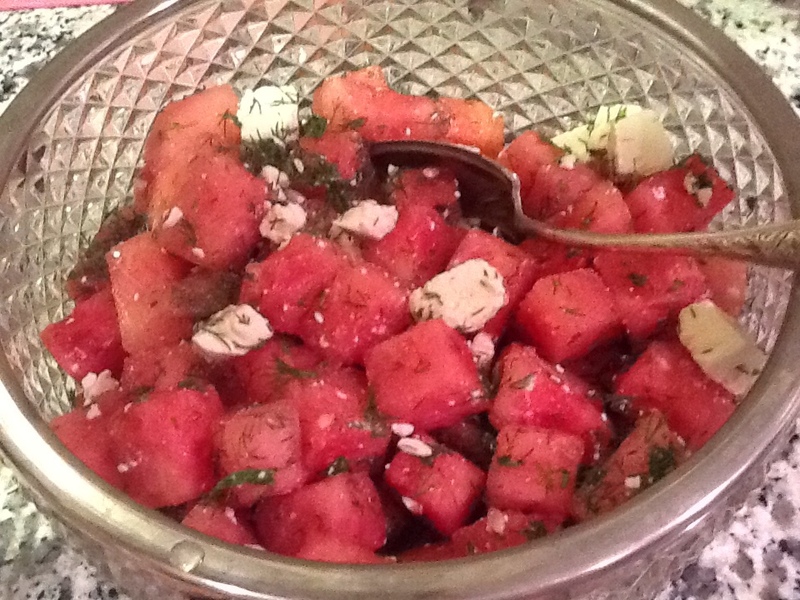 Or try threading cubes of watermelon and feta to kebab on the grill – trust me. Jun16June 16, 2013 • By Betsy Karetnick • This entry was posted in Dish of the Day, Gluten-free, Salad, Vegetarian and tagged feta, gluten-free, salad, vegetarian, watermelon. Bookmark the permalink.